Halong offers an outstanding value with the majestic natural scenery of small magical limestone islands, pristine beaches, floating village, spectacular caves and grottoes which undoubtedly won’t let you down. 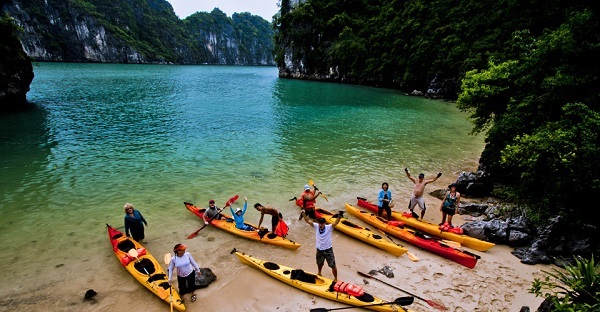 A plentiful of choices and activities available when it comes to exploring Halong Bay guarantees sightseers memorable experiences. Normally, most visitors sensibly go for a cruise tour including sleeping on board around the bay and swimming, do trekking, cycling, snorkeling or fishing on the way, while others decide to head straight for Cat Ba island nearby to discover Lan Ha Bay and monkey island which are less-visited locations but no less charming and attractive. 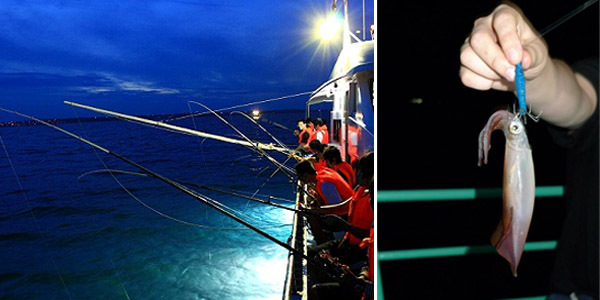 As noted earlier, one of the most popular and best ways to experience this beautiful seascape is by taking a boat cruise which also serves an array of Vietnamese cuisine on boat consisting three meal a day with extraordinary seafood. Travelers are encouraged to join a two day one night cruise, especially for first-time visitors. Apart from chilling out and emerging into the stunning scenery, the cruise also offers many alternative stops for visitors to do swimming, fishing, snorkeling and kayaking along the way. Considerable options comprising Bai Chay beach, Dau Be, Bo Hon, Ti top islands, Dau Go, Trinh Nu, Sung Sot caves, etc. Tourists will be taken to these destinations as planned in advance depending on your trip extension on the cruise. The next day, what is better than welcoming a new day on the boat, visitors might head to Dau Be and Ti Top island where proposes stunning swimming and diving spot with coral reefs and grottoes. Additionally, at Ti Top island, you totally can take some challenges by heading up to the 400-step stairway to reach the top of the island where you will be surprised by the panoramic view of Haling Bay. Additionally, Bo Hon island is also worth a visit. Unlike listed islands, Bo Hon island offers a numerous of well-known imposing caves that you should not miss when visiting Halong Bay which consists of Sung Sot, Trinh Nu and Trong Caves with a diversity of magnificent stalactites. If your trip is long enough, the next choice exists is to get to Tuan Chau island regarded as one of the most majestic islands in Halong and also the only island where local residents settle down. 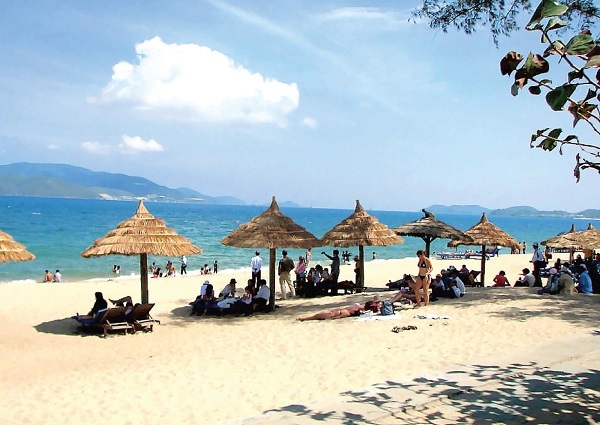 Tuan Chau island proposes the largest artificial beach in Vietnam and amazing white sand Tra Co coast representing a numerous of entertainment such as water sports, dolphin shows, overnight concerts and amusement park. 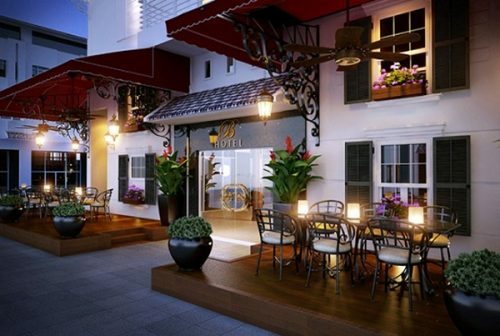 If not, head back to Bai Chay beach and enjoy a big meal of fresh seafood here is also a great treat. Soaking yourselves on the beach, lying under the sun to get some tan is not a bad choice at all. 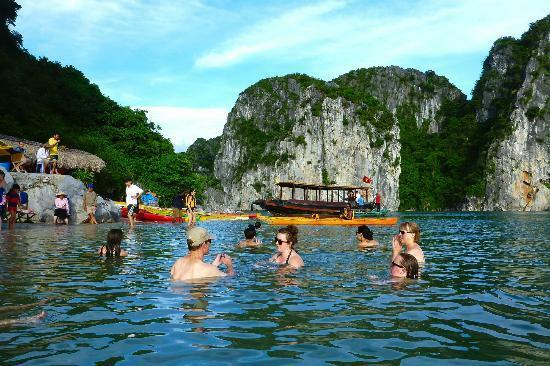 Your adventure will all depend on your availability; however, even a two day one night trip on the cruise over night on Halong Bay will literally embrace in your mind the best experience.